2 part process, contains 50g adhesive and 200ml activator. Bonds wood, MDF, PVC-u, plastics and rubber. No need for clamping. 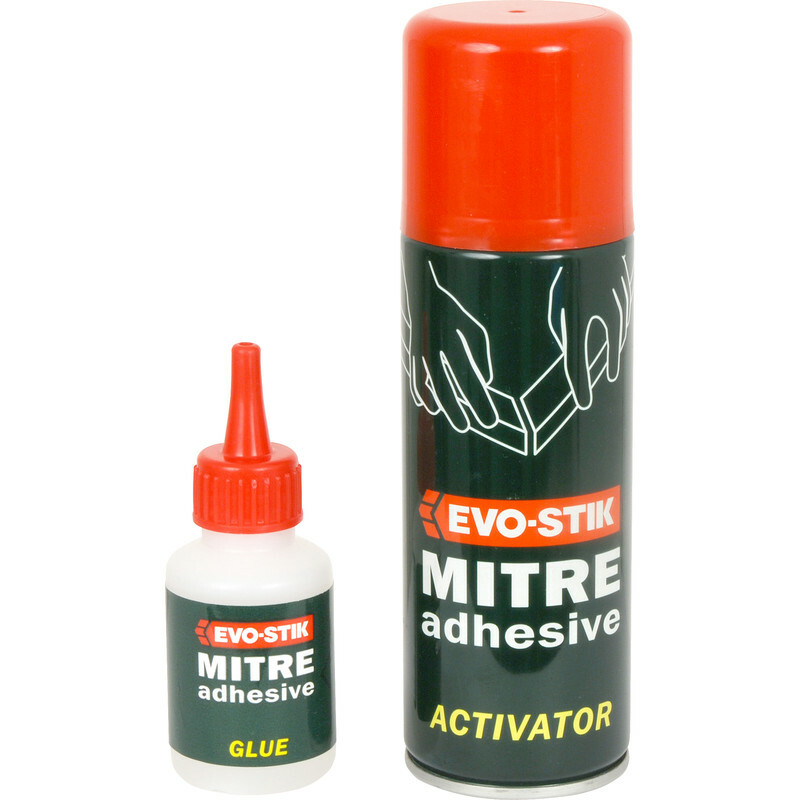 Evo-Stik Mitre Adhesive 50g + 200ml is rated 5.0 out of 5 by 5. Rated 5 out of 5 by Homiletical from Great stuff! Absolutely works a treat - be sure to wear gloves though, so as not to stick your fingers. Rated 5 out of 5 by unwaith from not just for corners this works well in lots of situations - I've even used it as a temporary fix to the sole of my boots! very strong bond in just seconds - just don't get it on your fingers! Rated 5 out of 5 by Harry the hacker from Maitre glue This is the only maitre adhesive to use, I do not rate any of the others on the market. Rated 5 out of 5 by Nick0004 from Brilliant stuff use it for everything!! I thought it was a gimmick that as soon as I started to screw things in it would snap! Not a chance I use it for everything it's def def worth the money! I've fixed car trims alsorts ideal work builders it's honestly great. Use the spray not just the glue!